In January 2010, breeder Cindy Williams was enjoying her litter of four beautiful Newfoundland puppies. The puppies were big and strong and, at 8 1/2 weeks, the puppies were examined by the vet before venturing off to their new homes. They were treated to the usual puppy wellness check including a health exam, microchips and first vaccination. All of the puppies passed with flying colors. Ten days later, a female puppy, Gracie, began showing less interest in her food, followed by vomiting and diarrhea. Soon afterward, one of her brothers exhibited the same symptoms. Overnight, Cindy noticed a curious twitching around Gracie’s head and mouth. Cindy brought her into the vet clinic first thing the next morning. At the clinic, Gracie was given IV fluids, steroids and antibiotics – as well as valium to calm the twitching. The treatment didn’t have any effect however. Later that evening, Cindy was horrified to see that Gracie’s brother Doc began twitching as well. In the meantime, Gracie was suffering continuous seizures that were not responding to any drugs. Later the next afternoon, Doc was seen by a neurological specialist who declared he was suffering the same battle as Gracie. By the end of the day, both puppies were suffering terribly and Cindy chose to let them pass. She requested an autopsy as their litter mates were at home and she was worried about them. Cindy kept her two remaining puppies and vaccinated them at 14 weeks with a recombinant vaccine and thankfully, they escaped further harm. Then, nearly two years later, Cindy received a chilling call – it was happening again. Bastian and Bella were two beautiful Newfoundland puppies who Jeannette Many Horses was delighted to welcome into her home on January 7, 2012. These puppies were bred by a caring breeder of 40 years who, like Cindy, did her research and raised her dogs on raw food and vaccinated them minimally. Bastian and Bella were vaccinated with a recombinant combination vaccine at the breeder’s home and, soon afterward, departed for their new homes. Bastian and Bella were the picture of health when they jumped into Jeannette’s arms for the first time. As they grew and flourished, Jeannette concluded it was time for their second set of vaccinations. On January 20th, the puppies went to the veterinary clinic for a checkup and for their vaccinations – a combination vaccine from a different manufacturer but with the same components as the vaccine Cindy used. Jeannette’s vet also added a monovalent killed coronavirus vaccine. On January 25th, five days after their vaccination, both Bastian and Bella became lethargic and had very loose stools. When Jeannette called the veterinary clinic out of concern, she was told that this could not be a reaction to the vaccine as the puppies would have exhibited symptoms sooner. She was advised to do nothing and that the illness would likely pass on its own. Two days later, Bastian began shaking and pacing and his seizures and pain continued unabated. The following morning, on January 28th, Jeannette received a phone call. Cindy had been informed of Bastian and Bella’s illness by another breeder and immediately contacted Jeannette to warn her of her own terrible experience. Jeannette decided at this point that it would be best to let Bastian cross. On the morning of January 30th, Bella also joined her brother. One day later, on January 31st, the unthinkable happened. Jeannette learned that Bastian and Bella’s litter sister, Sophie who lived several states away, also succumbed to distemper, just nine days after her second vaccination. Like Cindy, Jeannette suspected her puppies got distemper from the vaccine. After she received the necropsy results, Jeannette sent the puppies’ DNA to Michigan State University for testing. The results showed a 100% match between the vaccine virus and the distemper virus found in her puppies. In other words, Bastian and Bella died from vaccination – with 100% certainty. Then Sophie’s DNA also results came in, proving that she too died from the vaccine virus. Many veterinarians and pet owners have suspected for years that modified live vaccines have the ability to revert to virulence in the host. These five puppies all died from their modified live vaccinations and were relatively unscathed by the recombinant shots. However, simply switching to a recombinant vaccine will not render the vaccine harmless, as you will see below. Like Cindy and Jeannette, Georgia was aware of the potential damage of vaccinating too often. Georgia however, decided to not vaccinate her Great Dane puppy, Easy, at all. Easy was a vibrant puppy but Georgia later became concerned about recent parvovirus outbreaks in her area. She decided to titer Easy when he was six months to see if he was protected against parvo. Easy’s titers came back as low for parvo and Georgia felt pressured by veterinary advice to vaccinate him. She took what she envisioned to be the safest route possible and had Easy vaccinated with a monovalent, parvo-only vaccine since his titers showed protection against distemper. The vaccine was delivered to Easy’s scapular area and, three weeks later, Georgia ran a second titer which was now positive. Easy was protected – from parvo at least. At the age of 18 months, Easy developed osteosarcoma (bone cancer) in his scapula – right where the vaccine was given one year ago. Six weeks later, the pain became too much for Easy and Georgia helped him to cross. Any vaccine given at any point in a dog’s life has the ability to kill him or cause serious harm. If pet owners want to avoid vaccine-related dangers, then the best option would be to not vaccinate at all. This is a viable option for many who would gladly trade the risk of vaccine related damage for the risk of acute infection from puppy diseases. Pet owners who don’t vaccinate – and the vets who support this practice – realize that the risk of distemper is very low and that parvovirus in unvaccinated and healthy puppies is treatable in the majority of cases. They also realize that vaccines are ticking bombs that can create immediate and devastating disease in puppies such as Jeannette’s, or that the result might be more insidious, as was the case with Easy. Here is a list of potential adverse vaccine reactions, according to noted veterinary immunologist, Dr. Ronald Schultz. If you vaccinate, these vaccine risks are not completely unavoidable. There are steps that you can take however, to decrease the risk of disease in your puppy.The first step is to have a fundamental knowledge of the immune system and what vaccines can and can’t do. It may come as a surprise to some people – and many vets – that vaccination and immunization are not the same thing. Your dog or puppy is perfectly capable of creating immunity all by himself – and once he does, the immunity likely lasts for a lifetime. Naturally acquired immunity is why, not that long ago, parents used to have ‘chicken pox parties’ for their children; and also why, once children got chicken pox, they never got it again. Natural immunity is how most dogs survived without vaccination when parvovirus first came on the scene over thirty years ago – and how the original strain of parvo is still in the environment but very rarely causes noticeable clinical signs in dogs – even though there is no vaccine for it.The body has a highly functional immune system that works exceedingly well in most cases. Vaccines do not immunize: they sensitize. Their job is to introduce small amounts of disease to the body, albeit artificially, so the body is able to form immunity on a more convenient and predictable time frame. Most vets pay a lot of attention to vaccinating but very little attention to immunizing. The result is that most puppy vaccination series are poorly timed and the wrong vaccines are given at inappropriate times and given too often. 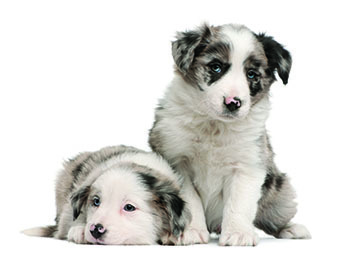 Simply stated, puppies are vaccinated too early, too often and with too many vaccines at once. When this happens, the vaccines suppress the immune system instead of supporting it – or in many cases, they can cause an over-stimulation of the immune system and the body can begin to attack its own cells (autoimmune disease). So it is crucial that every vaccine and every puppy is treated with the utmost caution and care and that immunization, not vaccination, is the goal. Great article. Thanks I appreciate all the information! Very informative.